Include your logo, company name, address, telephone number etc. 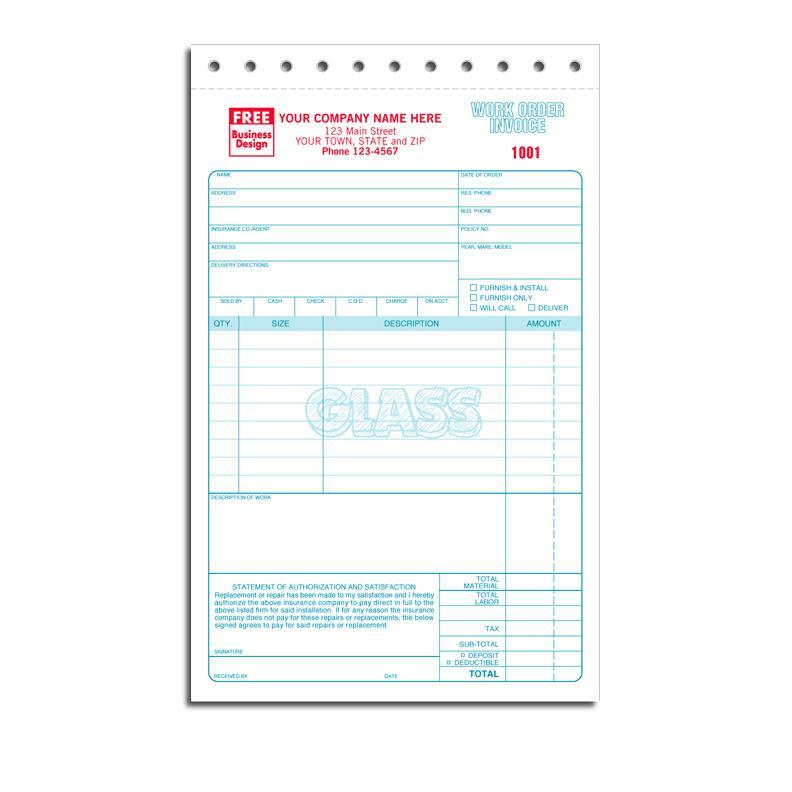 to customize a Glass Repair and Installation Invoice. 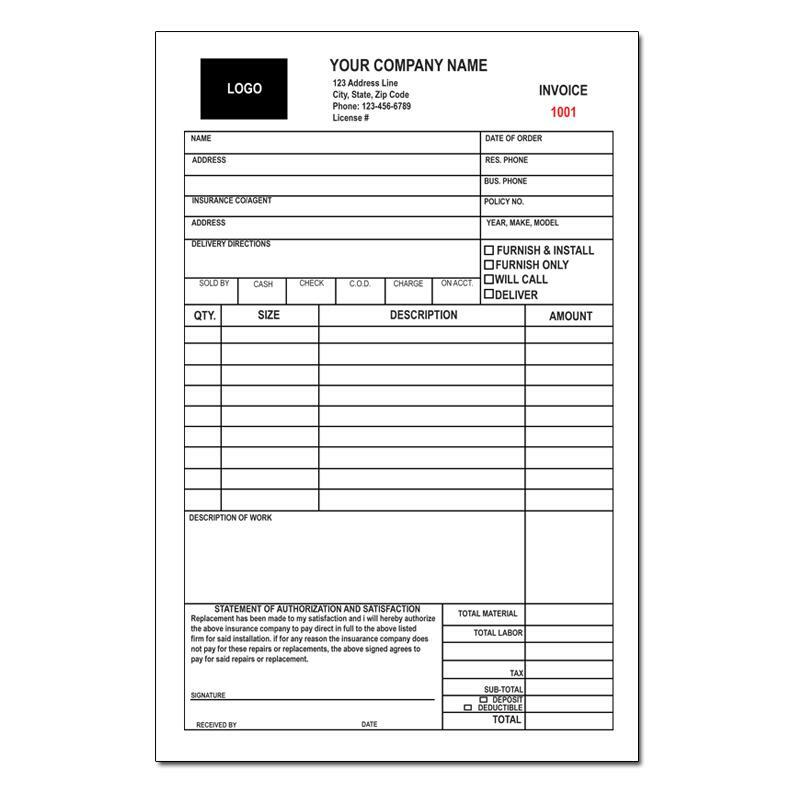 The are printed on carbonless paper stock in 2 and 3 parts forms. You have the option to order individual forms or a booklet with 50 page per book. Wite all details of the job including work description, materials used labor hours etc. These forms also work for the automotive glass repair and installation shop or mobile service.